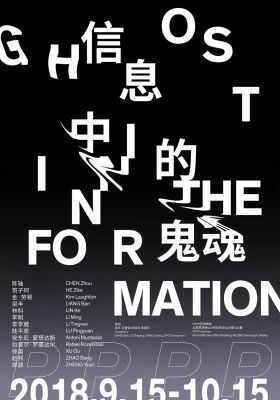 We are pleased to announce that the first exhibition of PPPP Space, Beijing, Ghosts in the Information will be open to public on September 15, 2018. The exhibition will present works from artists CHEN Zhou, HE Zike, Kim Laughton, LIANG Ban, LIN Ke, LI Ming, Li Tingwei, LU Pingyuan, Antoni Muntadas, Rafael Rozendaal, XU Qu, ZHAO Bang, ZHENG Yuan. No matter where we are, our behaviour and consciousness are silently ruled by information. Clouds in the sky may reveal information about weather or direction of the wind. There are many supernatural phenomena in the world that we cannot explain, eg. ghosts. Scientific research shows that ghosts are the illusion of brain's creation. Illness, fatigue or stress can cause human brain loses its position sometime. Many people tend to believe these illusions are ghost. If we follow the Occam razor principle: remove all unnecessary "entities" and keep the the least. Then "the existence of ghosts" is an unnecessary hypothesis.